Such breakthroughs are the result of decades of research that typically begin with the study of basic mechanisms of cancer in-vitro, the development of disease models and therapies in animals, and their translation to humans. In the particular case of the HPV vaccine rabbits, mice, cattle and human volunteers were used in the research dating back to the 1930s, when Richard Shope first isolated viral particles from wart-like tumors in the Eastern cottontail rabbit. Medical history is replete with such stories and their contribution to human health is undeniable. A couple of generations ago a visit to a physician might have resulted in a recommendation to induce vomiting, diarrhea or, more commonly, bleeding. Diphtheria, mumps, measles and polio were common and untreatable. Treatment for mental health disorders included malarial shock therapy, lobotomy, lifelong institutionalization, and worse. Life expectancy in the U.S. was less than 50 years; it is now close to 80 years. Animal research was instrumental in most of these past achievements, and the overwhelming majority of scientists agree that the use of animals in research is critical to make progress in many areas of biomedical and behavioral research. However, some members of the public and a few scientists express doubt about the moral justification for the work. Such is the case with Professor John Gluck, a former primate researcher who conducted lab research decades ago, in the 1960s-1980s, during a time with different standards and regulations compared to contemporary practice. Gluck writes about his own ethical unease which eventually led him to abandon his work with animals and to argue that the existing system for reviewing and conducting animal research should be revised. Gluck appears to think that if others have not arrived at his same conclusion it must be because of their failure to engage in moral reasoning. The fact is that most scientists and the public have wrestled with moral questions about the use of animals in research for over 100 years. The results of this ongoing, thoughtful reflection are personal and professional codes of ethics, laws and regulations in the US and other countries, and widespread societal changes in our views and treatment of other animals. Society as a whole considers as morally permissible the regulated and justified use of animals to advance medical knowledge, to improve the well-being of human and nonhuman animals alike, and to understand the health of the environment. Had animal research leading to the HPV vaccine been banned, cervical cancer today would continue to kill women at a constant rate. Many of us believe that there is a moral imperative to use scientific knowledge and research skills to improve the lives of these women by means of well-regulated, responsible animal research. Opponents may argue that such research should be banned because all nonhuman animals deserve equal moral concern to what we offer human beings. As a society we must grapple with and debate these questions and arrive at a democratic decision to such moral disputes. It is unfortunate that meaningful debate is impeded when critics attack the work by falsely claiming that animal research has no value for human health. They incorrectly assert that scientists can do as they please in their laboratories or, worse, that scientists, veterinarians and technicians do not truly care about the well-being of their animal subjects. And they mislead the public by claiming that alternatives exist (such as computer simulations, cell culture, human testing) that can fully substitute the goals of animal research. Indeed, Professor Gluck attempted to reinforce such falsehoods about animal research and animal researchers in his op-ed piece. The truth is that the care and treatment of animal subjects is protected not only by carefully specified standards, but also by a well-developed federal oversight system that is transparent to the public. Alternatives are used when they exist and when it is possible. Scientists themselves have worked effectively to produce many of the alternative methods and to continue to refine practices to improve animal welfare. The weighing of scientific objectives with consideration of animal welfare is required by law before the approval of any experimental protocol. Gluck argues that the US government should convene a national commission to consider the ethical treatment of nonhuman animals in medical research. However, he must recognize that animals in research studies are just a small fraction of all animals used by humans for a wide range of purposes that include food, entertainment, labor, clothing, and companionship. The comparison is particularly true with respect to the number of chickens, turkeys, cows, pigs, and fish that are eaten. But even restricting the discussion to nonhuman primates (the topic of Gluck’s essay) it is also the case that nonhuman primates are a small, but important, fraction- generally less than 1%- of captive animals involved in research. Furthermore, in the US, there are just over 1,000 facilities that house nonhuman primates and that are licensed or registered with the USDA. Of those, fewer than 20% are research-registered facilities. The gross majority are licensed zoos, or various entertainment venues for the public. Dr. Gluck and others have called on NIH to review its ethical practices when, in fact, following their logic, they should be asking the FDA for a moral justification for the production and consumption of filet mignon. Eating a steak has never saved a life; vaccines and therapies developed with the use of animals in research do so every single day. When such inversion of priorities is made evident, one must conclude that it is not those seeking to advance knowledge and human health via carefully regulated work who are at fault in their moral reasoning. Moral decisions about the use of animals in research require consideration of the fact that science does not provide a recipe that will lead us directly to a cure for an illness. Instead, it provides a recipe to understand incrementally the physical and biological processes in nature, which we can then apply to make this a better world by reducing suffering for humans and for other animals. Scientists, students, veterinarians, and staff who engage in biomedical and behavioral research with animals do it not because they have failed to consider the moral issues. They do it precisely because they have thought about them carefully and arrived at the conclusion that failing to do the research would prevent us from developing new cures, such as the HPV vaccine that now stands to eradicate cervical cancer, or being prepared to face new threats, such as confronting the Zika virus. As the National Institutes of Health convenes this week to examine the science and ethics of research with nonhuman primates, one must remember the important contributions the work has made to the study of child health and development, diabetes and obesity, mental health, transplant tolerance, vaccines, HIV/AIDS, deep brain stimulation (DBS) and the development of brain-machine interfaces, among many other areas. Evidence for the contributions of animal research to such advances is widely available, including most recently, in a white paper. It is this evidence that provides the foundation for why animal research — occurring within an ethical and regulatory framework that requires consideration of both scientific objectives and animal welfare — is endorsed by a wide range of scientific and medical organizations. The signatories here are expressing their personal views which do not necessarily reflect those of their institutions. 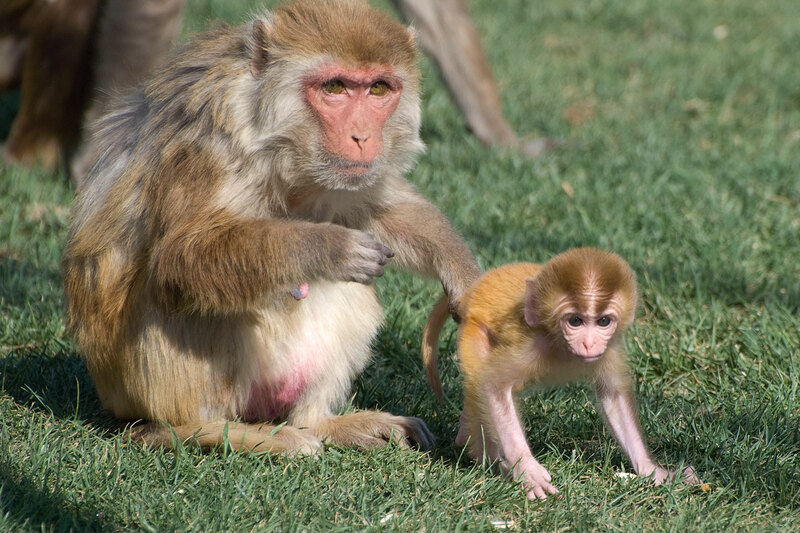 Posted on September 6, 2016 September 7, 2016 by EditorPosted in News, Science NewsTagged animal research, behavioral research, Ethics, medical research, primate, psychology, regulation, science, us. This article talks a lot about “facts” yet shows sugar coated pictures of lab animals in what is considered luxurious uncommon accommodations. 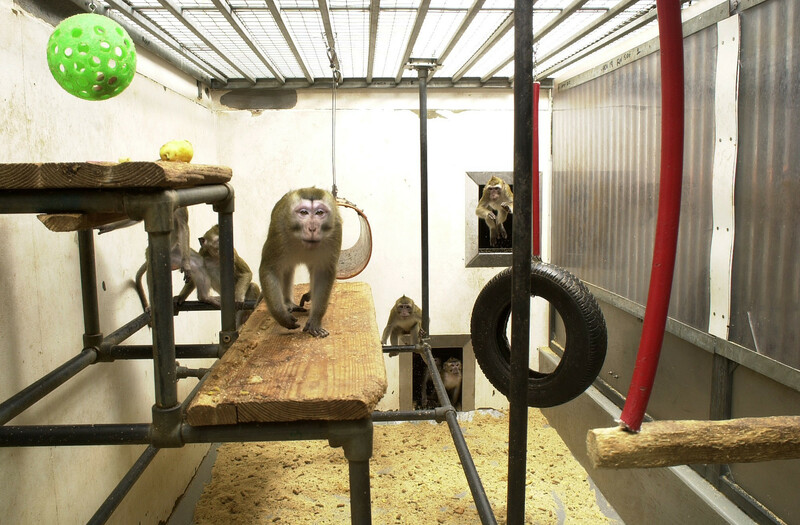 Fact: according to federal regulations that this article claims assures “animal welfare”, a cage for a macaque (pictured above) is required to be a few feet by a few feet, and the animal is required to have “mental stimulation” which at minimum means one toy. Usually a dog chew toy. Fact: most research institutions including the NIH mentioned follows these bare minimum standards and in no way would you find most nhp’s housed in a set up like the one you see pictured. 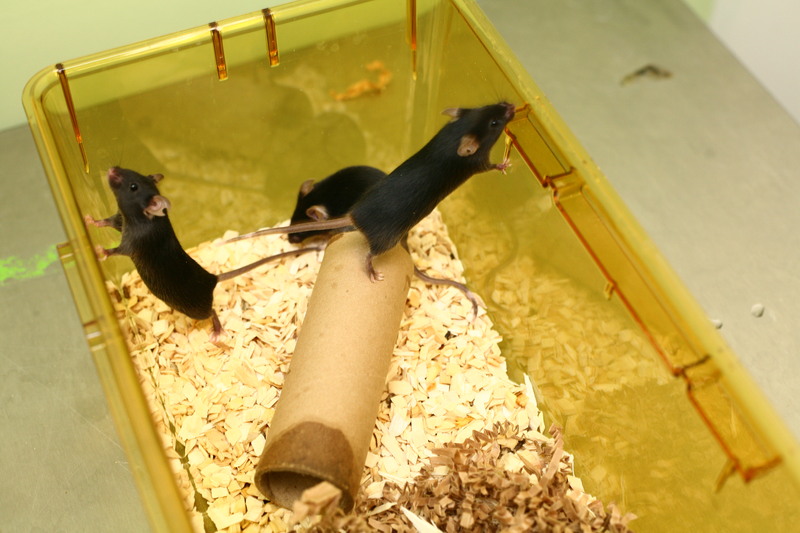 Fact: mice are not considered “animals” according to the USDA AWA and therefore not regulated and therefore the set up of the happy mice with nice enrichment to hide, chew on, build a nest (all things very essential for natural mouse behavior) is very rarely seen in research settings. It certainly is not required by law. If you are going to defend animal research, use pictures of animal settings usually seen in labs, not sugar coated rare settings. I support this letter and the responsible and regulated use of NHP in research. I wish to add my signature to this letter. I agree with the above, and add my endorsement. I am proud to add my name. What is the “However…” about here? Is the implication that the commission Gluck imagines would be required to consider the well-being of creatures used in those other ways also? Is it that such a commission should consider the needs of those other animals first? I don’t see how these ideas contrast. So what if he does recognize the situation of non-human animals outside of laboratories? I should hope he does. What does that entail about our need to reconsider the use of animals in medical research? That it must wait? That it must be joined by others? That it is confused? How? People who shoplift candy from convenience stores are at fault in their moral reasoning, and so are people who violently rob banks. The latter’s reasoning does not improve the former’s. We’re right to criticize and question both. That said, there is no doubt that the injustices of veal crates and battery cages are immeasurably worse in kind, magnitude, and scale than nearly any committed in scientific research. But even when we agree about which problems are worst, it doesn’t follow that we have confused priorities when we diverge in efforts. For example, a neighborhood watch might expend more energy on candy shoplifting than bank robbing for many good reasons. It might have more resources to handle shoplifting than armed robbery. The community might experience the former more often, or more acutely, or it might be that they trust other good people to handle bank robberies while they tackle something else. The scientific community does that all the time: even if we all agree heart disease is the most pressing issue, scientists might choose to study deafness because they understand it better, live more closely with its victims, have more resources for it, or appreciate that others are better suited for heart research than themselves. 3. It’s a false dichotomy in more ways than one. We don’t have to choose between doing nothing and doing the best thing. People should try to prevent shoplifting, even when they can’t or won’t try to help with bank robberies. The best is to prevent both injustices. The WORST is to prevent NEITHER. Even if Gluck and others would do better to focus their efforts on – for example – factory farming, the WORST thing they can do is NOTHING. If the situation of laboratory animal subjects can be improved, then it should be. If anyone can do so, they should be celebrated for their efforts, even if their efforts do no represent the absolute optimal path to a better world. It is no doubt better than no efforts at all. 4. It might be that the situation – wherein nearly all non-human animals are widely regarded as ours to treat however we wish for any reason – is complex, and requires a many-pronged approach. It’s not clear how to help assuage the suffering of animals in ANY industry, because those industries are so powerful, and cultural attitudes toward them are so entrenched. The community of people wanting to help non-human animals are still looking for rhetorical, political, and psychological footholds wherever they can – just to BEGIN the serious work of dismantling juggernaut systems of horrifying oppression. It could be that Gluck – or others like him – already agree about which animals are suffering worst, and which industries produce the greatest injustice. Yet as it happens, they recognize an irrational public sympathy for lab chimps over egg-laying hens. Given the enormity of the task, and the uncertainty of any possible effort, they might reasonably start with chimps, in the hope that improvements for ANY non-humans is meaningful progress for all the rest. If so, efforts to improve life for lab animals, and to generally reduce their real or perceived necessity, is by proxy an effort to do the same for animals used by any measure. Might this cost human lives and suffering? I’m not sure. But if it does, then Gluck is in a position no morally worse from the animal researchers themselves: lives must sometimes be expended (or ruined) for the sake of many more. There is no moral difference between killing a cow for a steak and killing a cow to find a cure for cancer? You view these both as morally equivalent acts? Only if you could get food from another source and without killing the cow and if you could also cure cancer without killing the cow. In both cases killing the cow is not necessary. Right? So yeah, apparently we are curing cancer without animal research. I think what Joseph is saying is that stopping the animal research that led to the the development of HPV (thereby killing humans) is a better way forward (or at least easier) than convincing Americans not to eat 45 million turkeys in one day (or doing nothing at all). Thanks darioringach for your charitable reading. I’m not sure which is easier – or even which is a better starting point long-term. But I don’t think it’s crazy, or that it shows “an inverted sense of priorities” if someone does feel that way. I think I understand your position, but if you truly consider attacking research that is potentially life-saving is a reasonable “way forward” despite the fact you think eating animals for pleasure is a much more problematic, then I think you are are morally confused… unless, of course, you deny the fact that the research saves lives. I think there is a serious moral difference. Above I claim that the former is obviously worse. The rest of the quote is included above just for context. The false dichotomy is: either you have faulty moral reasoning, or else you are trying to help people. I guess it might also be: either you are villain or the hero. That’s not an exhaustive list of possibilities. Animal researchers might exhibit faulty moral reasoning, even if factory farm managers exhibit faultier reasoning. They might also do the wrong thing, even while trying to help. 1) I think the issue here is why Gluck has pre-specified non-human primates in medical research as being “special” for the purview of national commission. Humans use animal in many ways (as the authors of the piece point out) and as you agree with in point 2, in perhaps far worse conditions than those found in nonhuman animal research. As the New York Times piece is written, it is not clear that Gluck fully appreciates or presents the context of nonhuman animal use by humans – and this is disingenuous. The point here is that ethical deliberation of nonhuman animal use by humans should not be specific to primates in medical research but rather to all human use of nonhuman animals. 2) False or not, this is a dichotomy that pervades the manner in which we as a society think. More importantly, I think it is important to recognize that for the example given, using animals for food vs. using animals to investigate cures for diseases, we as a society have the capacity to effect change more easily in the former (stop/reduce meat consumption) that the latter; and it is we as a society that defines what is ethically responsible. In your two examples of faulty moral reasoning, stealing candy vs stealing money, you are absolutely correct that we should question both and indeed, if a national commission is to be formed to evaluate the ethics of all nonhuman animal use by humans, it should not be limited to primates. Why, because such a commission will operate at a way large scale that any animal rights group/animal research advocate can. 3) I find your reasoning in this point confusing and perhaps telling? Your starting point is that animal research is bad and that scientists are doing nothing to improve the lives of captive animals. I personally find your comment offensive. I am actively involved in animal welfare research where the goal is to improve the lives of rodents (the most prevalently used animal species) in standard laboratory settings. I fundamentally disagree with applauding or celebrating individuals without context. Science, and the use of the scientific method, with quantifiable metrics, should dictate whether and how we can improve the lives of captive animals. If however, the goal is to end nonhuman animal research/use, then the question of improvement is moot. As written, you seemed to have mixed these two issues completely. 4) Here again, your language is telling, “just to BEGIN the serious work of dismantling juggernaut systems of horrifying oppression.” This again sets the precedent that nonhuman animal use by humans is bad and that the system is “rigged” again those that try to effect change. Change is hard, and improvement is hard. And as true as you may think “the community of people wanting to help non-human animals are still looking for rhetorical, political, and psychological footholds wherever they can” may be, it also highlights one simple fact – we as a society decide whether and how we can use nonhuman animals. I would however prefer my decisions to be made by scientific metrics, rather than emotional pleas. It may take longer, but at least I can say that I have improved the life of the animal for the sake of the animal – rather than as a vague concept of what I think is good for the animal but may be totally meaningless. 1. I agree that Gluck does not *explicitly* appreciate or present the context of nonhuman animal use by humans in his article. I also appreciate that the scientific community might be sensitive to widespread hypocrisy about our treatment of animals – for example, that it’s acceptable to torment them for food, but not for potentially life-saving research. But the implication in the signed letter above is that this somehow invalidates or casts doubt on his explicit concerns. I think that’s false. 2. I don’t understand politics well enough to know how such a commission would be formed, or what its prospects would be. I agree that public, high-level thought about our general treatment of animals is important. I only meant to say that people could convene over the treatment of primates in labs without *needing* to convene over the treatment of animals everywhere for all purposes without being morally confused, suffering displaced priorities, or being hypocrites. 3. I don’t mean that animal research is intrinsically bad or that it’s incapable of improving life for anyone. What I mean is that if Gluck – or others – try to help primates, that’s laudable, *even if* it would be better for them to help cows and chickens. I’m not saying helping primates is best, I’m saying that efforts may be warranted even when it’s not the best imaginable course of action. Saying that someone would do better by X over Y, doesn’t mean they are fools for doing Y, or that they should *not* do Y, or that doing Y is bad. It only means that doing X is better. I do take it as a trivial assumption that if the same research could be done and produce equal or better results with less suffering, then that is preferable. I grant this leaves open questions – is it better to test 5 subjects very extensively than to test 50 subjects less? If primates are not allowed, will it mean many more of some other animal are substituted? But it’s not obviously crazy or misguided to think that the project must begin somewhere. And I don’t think anyone can know what the ultimate outcomes will be. 4. Trivial, unnecessary nonhuman animal use by humans – especially when it comes at the expense of their suffering, and ultimately their lives – *is* bad. But science cannot furnish morality. We can’t ask scientists whether I am right – normative ethics is not the project of science (unless philosophers and ethicists are also scientists). We can seek agreement, by appeal to reason and intuition, but the scientific method will not be helpful. Would you disagree that the system is “rigged” again those that try to effect change? I can think of almost nothing more culturally engrained than people’s attitude about food, and human supremacy above most creatures. That alone strikes me as rigged enough. That ignores historical politics, the influence of economies of scale, some of the largest and most powerful corporations in the world, the attitudes of popular religion, and obstacles I’ve yet to consider. I’m arguing that we should start from a position of sympathy and charity with efforts like Gluck’s. That change is so hard, and the situation (for non-human animals generally) is so grim, that nearly any legitimate public strategies are a step in the right direction in the big picture. That said, if they sometimes result in fewer experiments or increased difficulty in the short-term, it could mean that scientific progress for humans and animals is temporarily routed or slowed. That’s bad, but the conditions of non-human animal use generally is so bad that we should be charitable to people who weigh the scale both ways. 5. Regarding your research, or animal research generally, Im glad you consider animals on their own terms. Obviously the well-being of rats should be improved qua *rats* and not humans. What gives a rat a happier, healthier life may be counter-intuitive from a human perspective. I hope you enjoy success. The NY Times recently published an OpEd from a former researcher who states his belief that research with non-human primates is unethical. This researcher, whose contributions to the study of primate behavior and neuroscience were never very significant, now turns – in the twilight of his slowly fading career – to cast aspersions on the work of others. His position, better published in a newspaper than in a scientific journal, is a set of distortions & extreme views that must not be allowed on linger on pages of our media or go unanswered. Why? Because this is how lies become truth.